The dropping of 59 Tomahawk missiles on a Syrian airfield was anchored on a US intelligence report that “confirmed Assad’s culpability to the chemical attack on his own people,” in the area controlled and occupied by the CIA-funded and trained terrorists. After a very careful analysis of the alleged evidence presented to the White House, the Professor Emeritus of Science, Technology, and National Security Policy Massachusetts Institute of Technology, Professor Theodore Postol is convinced that Assad could not have done it. Here’s the most important portion of Professor Theodore Postol’s analysis leading to such a damning conclusion. “Figure 2 shows a high quality photograph of the crater identified in the White House report as the source of the sarin attack. Assuming that there was no tampering of evidence at the crater, one can see what the White House is claiming as a dispenser of the nerve agent. The dispenser looks like a 122 mm pipe like that used in the manufacture of artillery rockets. As shown in the close-up of the pipe in the crater in Figure 3, the pipe looks like it was originally sealed at the front end and the back end. Also of note is that the pipe is flattened into the crater, and also has a fractured seam that was created by the brittle failure of the metal skin when the pipe was suddenly crushed inward from above. 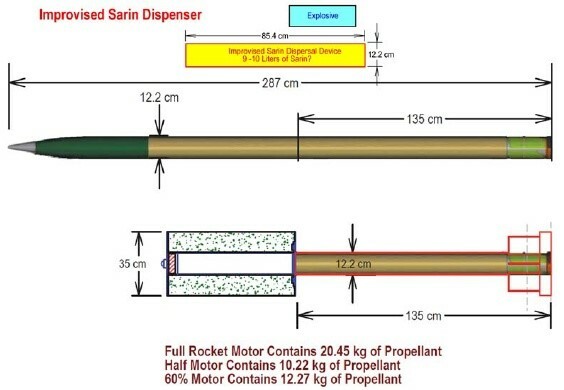 Figure 4 below shows the possible configuration of an improvised sarin dispersal device that could have been used to create the crater and the crushed carcass of what was originally a cylindrical pipe. 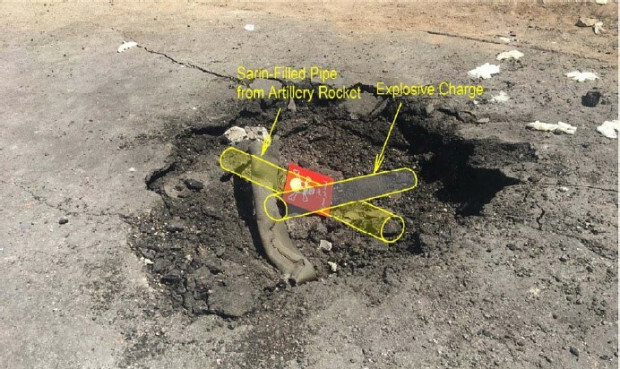 A good guess of how this dispersal mechanism worked (again, assuming that the crater and carcass were not staged, as assumed in the White House report) was that a slab of high explosive was placed over one end of the sarin-filled pipe and detonated. The explosive acted on the pipe as a blunt crushing mallet. It drove the pipe into the ground while at the same time creating the crater. Figure 4 shows the possible configuration of an improvised sarin dispersal device that could have been used to create the crater and the crushed carcass of what was originally a cylindrical pipe. Since the pipe was filled with sarin, which is an incompressible fluid, as the pipe was flattened the sarin acted on the walls and ends of the pipe causing a crack along the length of the pipe and also the failure of the cap on the back end. This mechanism of dispersal is essentially the same as hitting a toothpaste tube with a large mallet, which then results in the tube failing and the toothpaste being blown in many directions depending on the exact way the toothpaste skin ruptures. 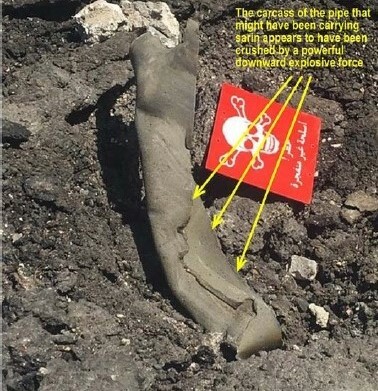 If this is in fact the mechanism used to disperse the sarin, this indicates that the sarin tube was placed on the ground by individuals on the ground and not dropped from an airplane. Figure 8 shows the improvised sarin dispenser along with a typical 122 mm artillery rocket and the modified artillery rocket used in the sarin attack of August 21, 2013 in Damascus. Figure 8 shows the improvised sarin dispenser along with a typical 122 mm artillery rocket and the modified artillery rocket used in the sarin attack of August 21, 2013 in Damascus. At that time (August 30, 2013) the Obama White House also issued an intelligence report containing obvious inaccuracies. For example, that report stated without equivocation that the sarin carrying artillery rocket used in Damascus had been fired from Syrian government controlled areas. As it turned out, the particular munition used in that attack could not go further than roughly 2 km, very far short of any boundary controlled by the Syrian government at that time. The White House report at that time also contained other critical and important errors that might properly be described as amateurish. For example, the report claimed that the locations of the launch and impact of points of the artillery rockets were observed by US satellites. This claim was absolutely false and any competent intelligence analyst would have known that. The rockets could be seen from the Space-Based Infrared Satellite (SBIRS) but the satellite could absolutely not see the impact locations because the impact locations were not accompanied by explosions. These errors were clear indicators that the White House intelligence report had in part been fabricated and had not been vetted by competent intelligence experts. This same situation appears to be the case with the current White House intelligence report. 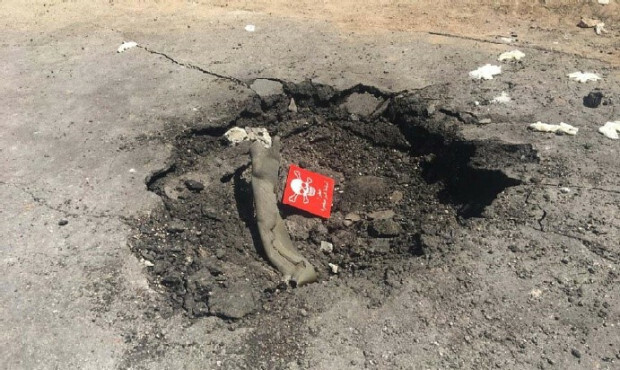 No competent analyst would assume that the crater cited as the source of the sarin attack was unambiguously an indication that the munition came from an aircraft. No competent analyst would assume that the photograph of the carcass of the sarin canister was in fact a sarin canister. Any competent analyst would have had questions about whether the debris in the crater was staged or real. No competent analyst would miss the fact that the alleged sarin canister was forcefully crushed from above, rather than exploded by a munition within it. All of these highly amateurish mistakes indicate that this White House report, like the earlier Obama White House Report, was not properly vetted by the intelligence community as claimed. What I can say for sure herein is that what the country is now being told by the White House cannot be true and the fact that this information has been provided in this format raises the most serious questions about the handling of our national security. 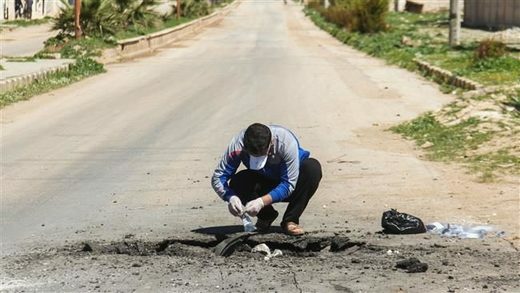 A Syrian man collects samples from the site of a suspected toxic gas attack in Khan Shaykhun, in Syria’s northwestern Idlib province, on April 5, 2017. A US expert insists the inadequate clothing of the men inspecting the alleged attack proves that there could not have been a poisonous gas attack. Consider the long-term implications for the United States citizens from such a premeditated military decision to bomb a country based solely on a flimsy pretext, under a president who doesn’t know any better, i.e. at least that is manifestly to be the case, one can rightfully say that the new US government still is not looking after the people’s interest, as opposed to what was implied during the campaign period and repeated again at his inauguration speech. Russia, on the other hand, is not allowing the US to just toss this thing aside by poking on North Korea, along with other headline grabbing actions, e.g. MOAB in Afghanistan, purposely to distract everyone from this botched false flag operation. Vlad Putin has persistently pushed for an independent investigation on the matter, and is warning everyone that more false flag operations will be unleashed in the near future. He also confirmed earlier reports that the US is moving dozens of trucks and foot soldiers in the south border with Jordan, where potential false flag operations will be conducted, or directed from. Bull’s Eye! Thank the good Lord that there are still incorruptible people and experts of integrity in all fields and at the highest levels in our midst fearlessly pointing out the truth. God bless you Prof. Theodore Postol, for being so unquestionably dedicated to your subject.